I’ve also found it difficult to write over the past few months for fear that most of what I produced would be too negative. I tried about a month and a half ago to write a post where I presented some of the difficulties I was having, but trying ultimately to focus on the positives, but before I could stop myself I’d ranted for several hundred words about how crap my life was and how miserable a time I was having. I admittedly wasn’t feeling particularly great at that particular point of my year, but it hardly excuses how much of a whiney little turd I was being, so I didn’t post it in the end. The past few months have undeniably presented difficulties, however. Something that is becoming increasingly apparent to me is how much I hate winter. Being trapped inside because of rubbish weather is a recipe for disaster: from November to March, I turn into a weepy globule of misery that can’t get its thoughts in order, can’t build up enthusiasm for anything and can’t feel any emotions stronger than “fine”. I noticed that this was a thing when I took a break in February to go home and be with family. We went to Cornwall and for a couple of days we had sunshine and mild weather. It took me a while to realise that the fluttery frisson of warmth in my core was actually me feeling happy for the first time in about three months. Maybe the lesson I should learn here is that I’m actually not a human, but a large anthropomorphic lizard, and that I should commission a man-sized terrarium to be built that I can live in, with an enormous heat lamp under which I can bask in the winter months. Or maybe I should just live somewhere sunny or take holidays in the Southern Hemisphere. I’ve also had quite a low self-image recently, which probably correlates with the feelings mentioned above. Maybe it’s because I have so little to do in terms of work, but I’ve started obsessing over stupid things, like the fear that I’m losing my hair, feeling fat, and being talentless. Silly things, and I’ve kind of let them get out of control, but I find that if I drink a lot of coffee and give myself tasks to do, I can stop myself from panicking about them and my brain stops being silly and telling me that I’m a stupid, fat, bald blob that is going nowhere in life. Admittedly, I haven’t really applied to many jobs over the summer, and the couple of things I did try to apply for, I got rejected from, but I do have more of a plan now than I did a year ago. I’m thinking of applying for a Master’s at music college, hopefully in London or perhaps even the US, and failing that I’d quite like to do further study in something philological or historical-linguistics-y, but we’ll see! First and foremost, I need money. Anxiety about the future has also featured quite heavily in my life recently. If I do want to go to Music College, I’m going to have to work hard for it, especially since I haven’t picked up any instrument for about 12 months. I’m desperate to have that part of my life back, though: when I think about how I played at school, I’m almost ashamed to think that it’s the same person sat here writing a blog and having all but left music behind. Similarly, the stuff I’ve started to find really interesting academically is quite Germanic-based, and given that I have done nothing but French and Spanish for the past two years and not really enjoyed much of either (granted, learning Spanish was fun in First Year), I’m hardly in an ideal position to go down that route. I’ve started reading around the subject in my spare time, but I’m going to have to put some effort in to convince my DoS to let me borrow a Germanic Philology paper. Emphasis on the lol. I’m also probably going to have to find a job over the summer, which although isn’t the greatest hardship in the world, means that I’ll probably be stranded in Grantham for several months, the very thought of which brings me out in a cold sweat. NB: I have noticed that the last few paragraphs have been fairly negative, despite my having said that I was trying to avoid this. If you think of it as a necessary backstory, however, it hopefully gives some justification for me not blogging for a while. Now I can relay the more exciting stuff I’ve done in the time I’ve been off-air. Firstly, I quit the choir that I was singing with at the start of the year. It was nothing personal – their concert I performed in was great and all the other singers were very friendly – but the only piece of music they would be working on until the date I’m due to leave was an experimental work which involved more blowing over bottles and rustling bags than actual singing. It was going to be the world première of the work, but it just wasn’t really my bag. I went to the ENS Gala, which was a black-tie event and Great Gatsby-themed. It was a lot of fun, and a great excuse to get dressed up and drink too much – definitely one of the best nights I’ve had here, despite me ripping down some of the decorations at the very end. Hopefully those running the ball interpreted my behaviour as just helping them to clear up, in my own special way. In February I went back to the UK for a week, went to Cornwall and saw friends in Cambridge and London. It was visiting my friend at the Royal Academy of Music that kindled my desire to start playing again. Mum and Dad came out to visit me shortly afterwards, and we had a lovely (if short) time together, and my brother George has come more recently, and he stayed for several days. It was great having him here, actually – we haven’t had a chance to hang out properly for a long time, and we did a lot of cool things, including going randomly to an exhibition about Star Wars! 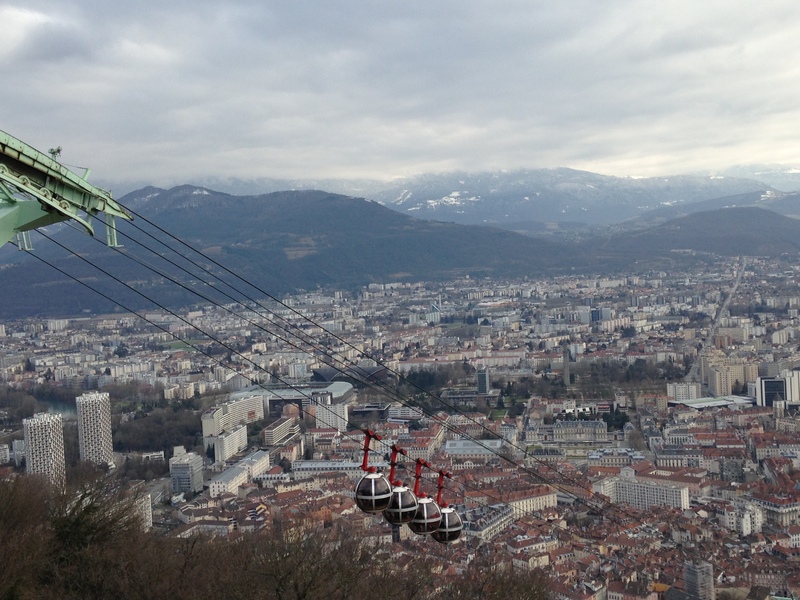 In the weekends in between I’ve been to Grenoble and Geneva, both of which are lovely places. Grenoble is breathtakingly impressive, with mountains literally in your face all the time, and Geneva, although clearly full of the very rich (I think I saw about twenty Ferraris and even a Bugatti parked outside one of the swankier hotels), all the UN buildings and missions provided wonderfully diplomatic intrigue. 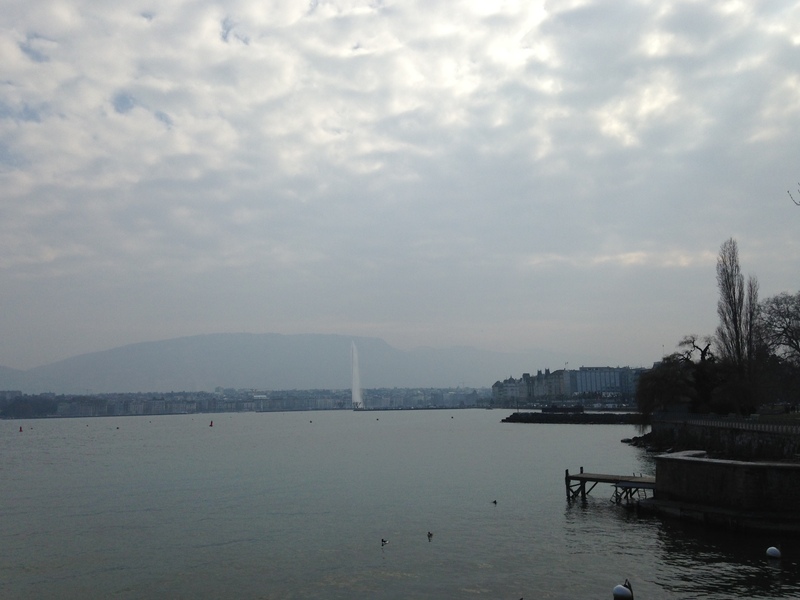 It was also beautiful weather when we went to Geneva, which made walking by the lake a wonderfully serene experience. I think one of the most exciting things I’ve done, however, was taking a trip to Denmark and Sweden. 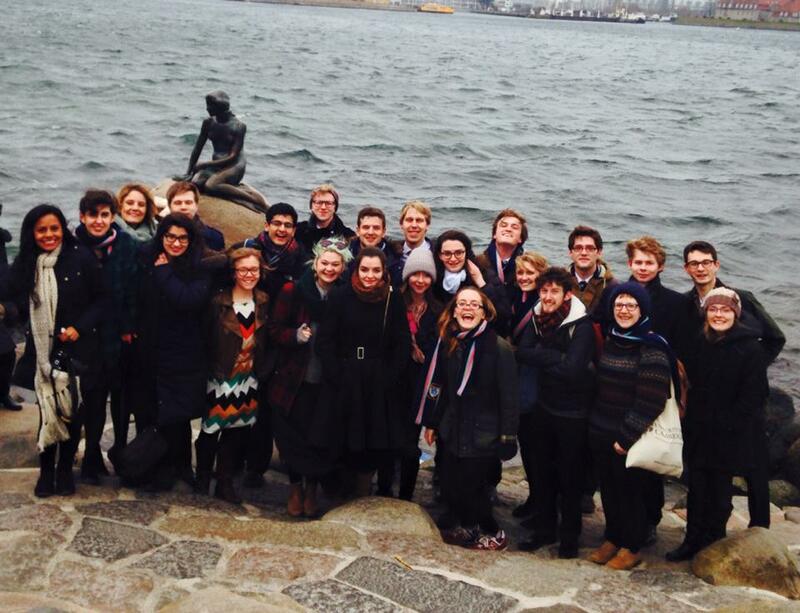 Admittedly, it was a bit naughty of me because the trip was actually a tour organised by my college’s Chapel Choir, and I joined them to sing tenor (so not really part of my Year Abroad). Nevertheless, it was a brilliant ten days. Several concerts’ worth of singing was really revitalising for me, and it was lovely to catch up with friends from university, and make some new ones too. 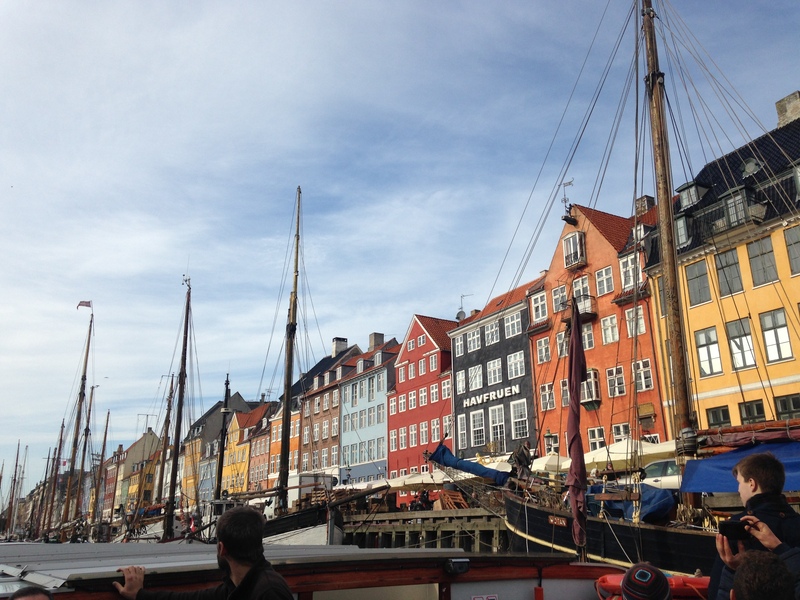 Copenhagen, where we spent most of our time, was an intriguing place, albeit cold. 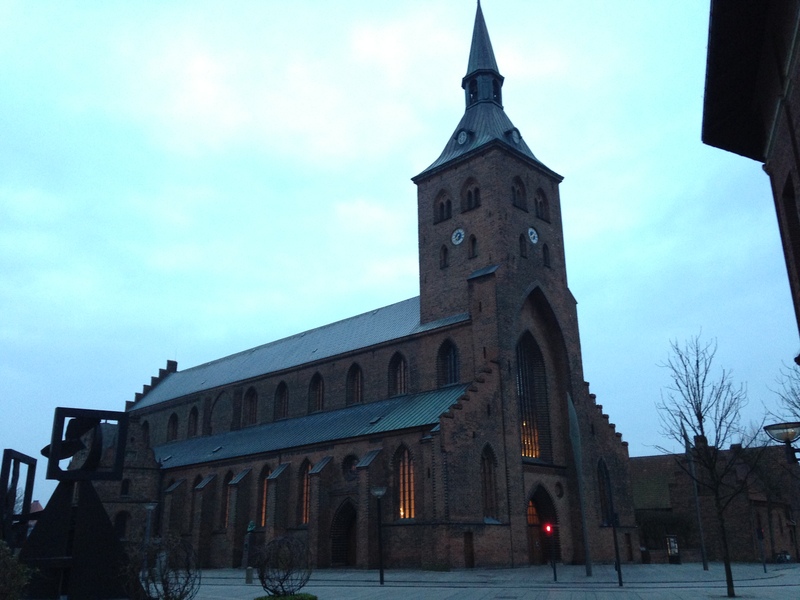 We also took daytrips to Odense, and across the Øresund Bridge to Malmö. I developed a fascination for the Danish language and found it very interesting to hear and compare it to Swedish on the same trip. In both countries I felt very inferior that I couldn’t speak the native language, but there are admittedly fewer opportunities for Brits to learn Swedish or Danish than there are for Swedes and Danes to learn English. I’d still like to give one of them a go at some point. 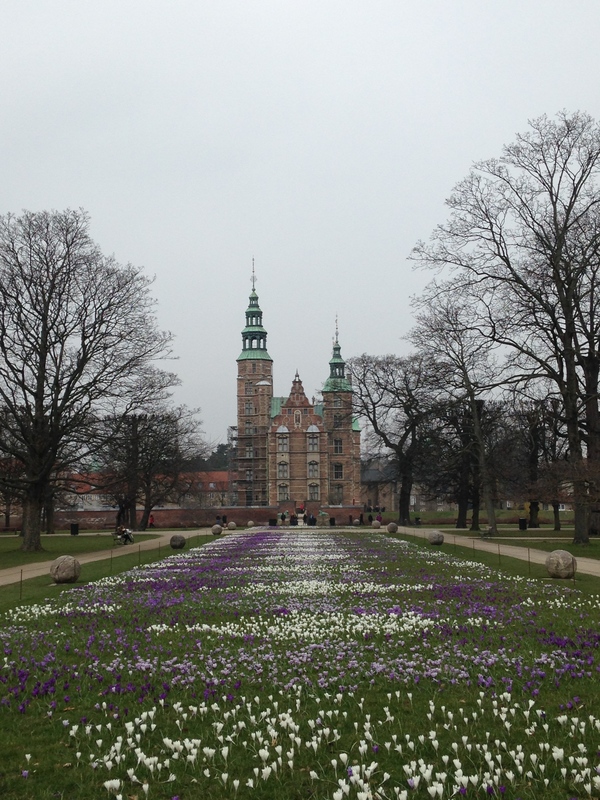 I came back from Denmark about two weeks ago. Since then, not much has happened besides George coming to visit, but I’ve now just finished all my classes for the academic year here! I can’t say that what I was studying was particularly tasking (mainly language classes and a bit of Latin and Roman History on the side), but it’s still a relief to have finished. Many of the classes were in the evening, and I would spend most weekdays feeling that I couldn’t do too much or go too far afield due to having to be back for German, or whatever. Now that burden has gone, I have a few weeks to do things my way, which is very exciting, if a bit nerve-wracking. My dissertation needs doing, and I have a lot of reading and admin to do, but hopefully if I’m strict, I should be able to figure out some sort of timetable for myself which also allows me to go and travel. The weather here is getting really nice now, and if it stays, I’d love to go and see some places down south before my time is up. I’m suddenly quite close to the end of my year, and I’m not sure how to feel, but that topic is undoubtedly best left for another time.